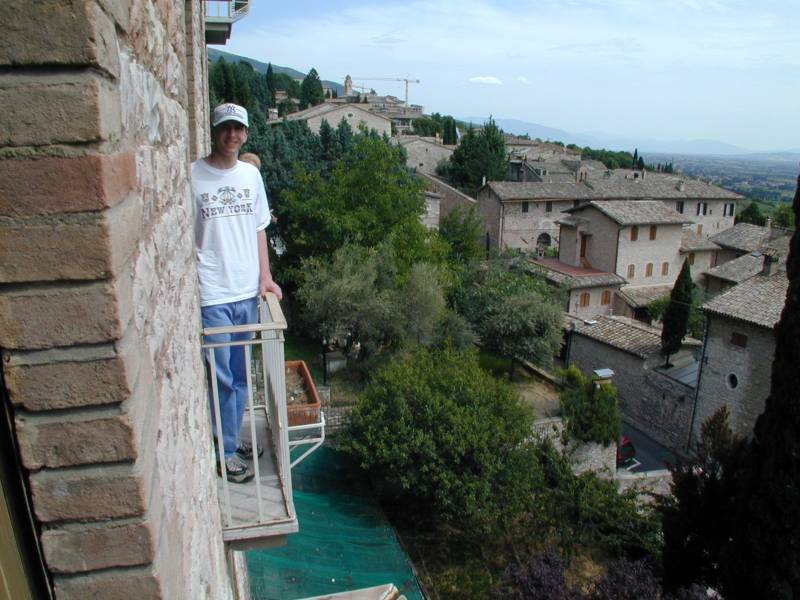 Italy Tour 1999 - Pictures - Travel Adventures in Colorado, Rocky Mountains, Italy, etc. 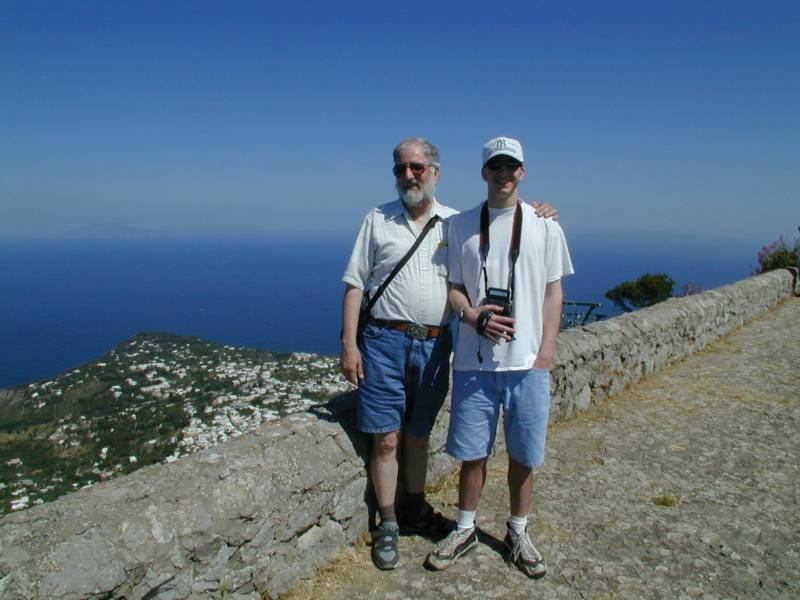 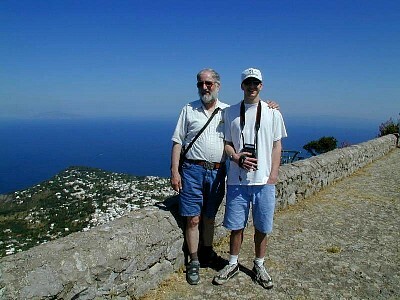 Dad & Joe on the summit of Monte Solaro on the Isle of Capri. 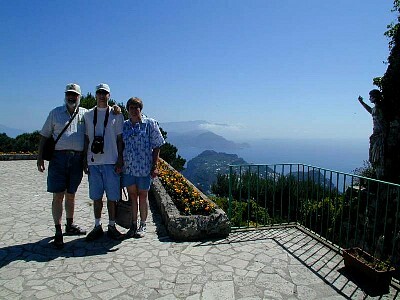 Dad, Joe & Mom on the summit of Monte Solaro on the Isle of Capri. 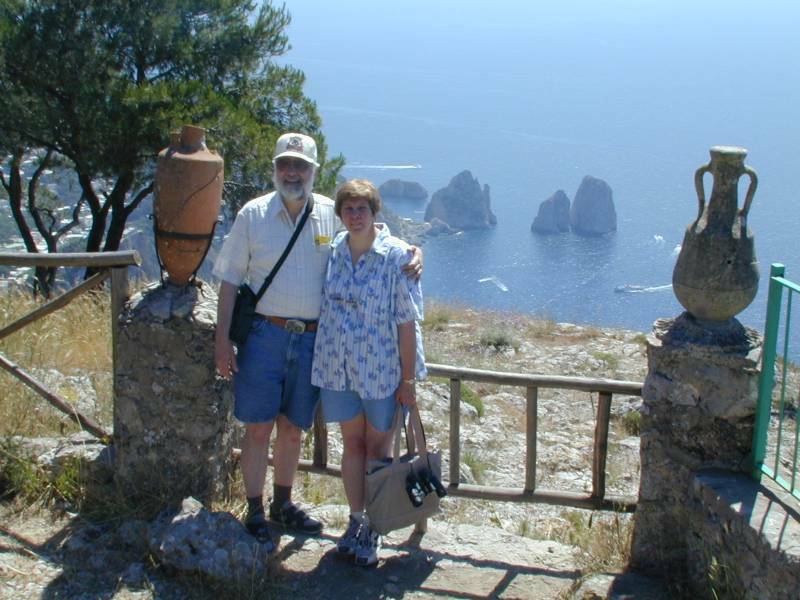 Dad & Mom on the Summit of Monte Solaro on the Isle of Capri with Punta di Tragara and the curious rock islets, known as the Faraglioni in the background. Mom with the owner, Tonino, of the restaurant on the Isle of Capri. 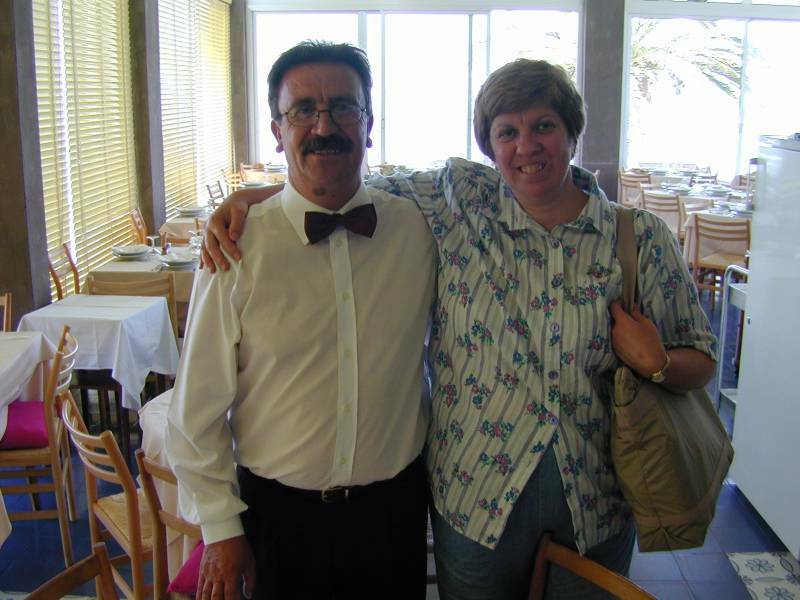 Joe with his new-found friend, Roberta (a close friend of our Tour Director, Marilena), in the restaurant on the Isle of Capri. A view from Parco Augusto of Marina Piccola and the winding Via Krupp (built and owned by the famous Krupp family). A view from Parco Augusto of Punta di Tragara and the curious rock islets, known as the Faraglioni on the Isle of Capri. 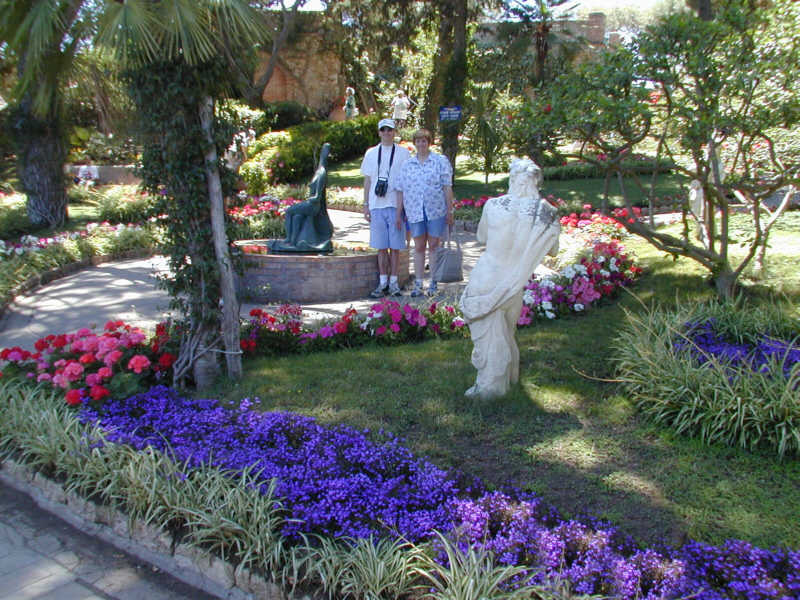 Joe & Mom in Parco Augusto on the Isle of Capri. 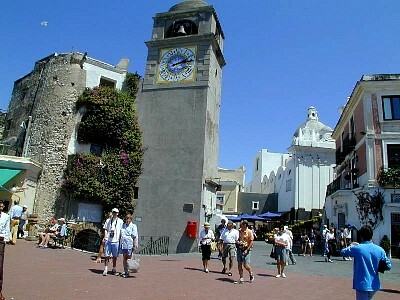 Joe & Mom in the main piazza of Marina Grande on the Isle of Capri. 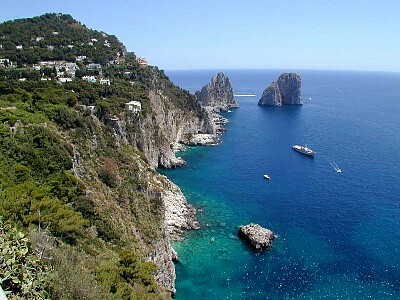 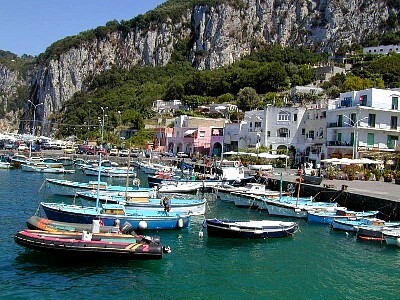 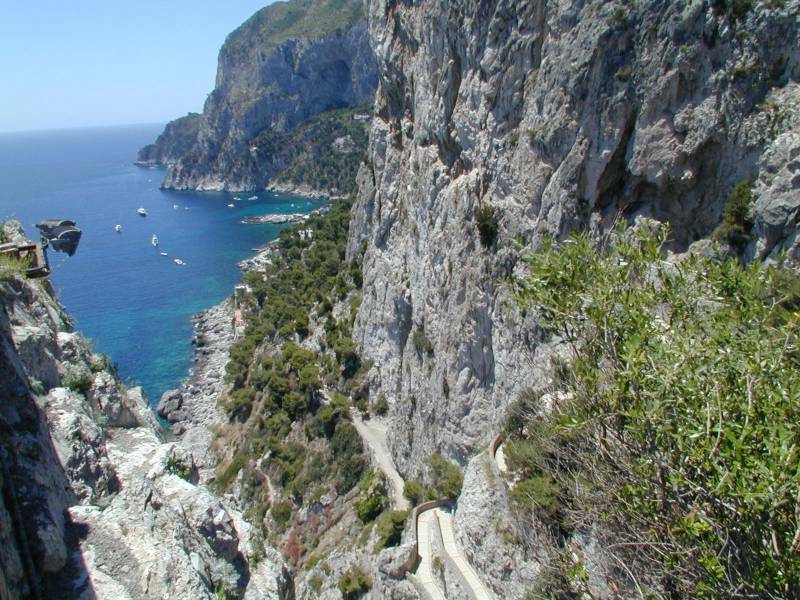 A view of the harbor of Marina Grande on the Isle of Capri. 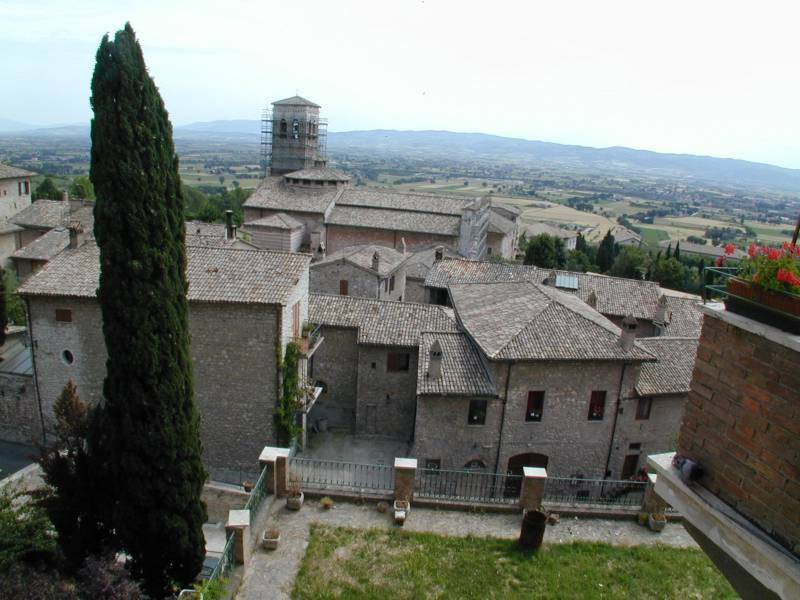 The Basilica of Saint Francis in Assisi. 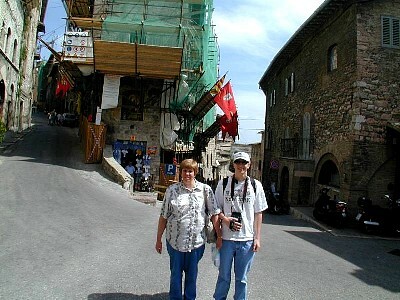 Mom & Joe in the streets of Assisi. 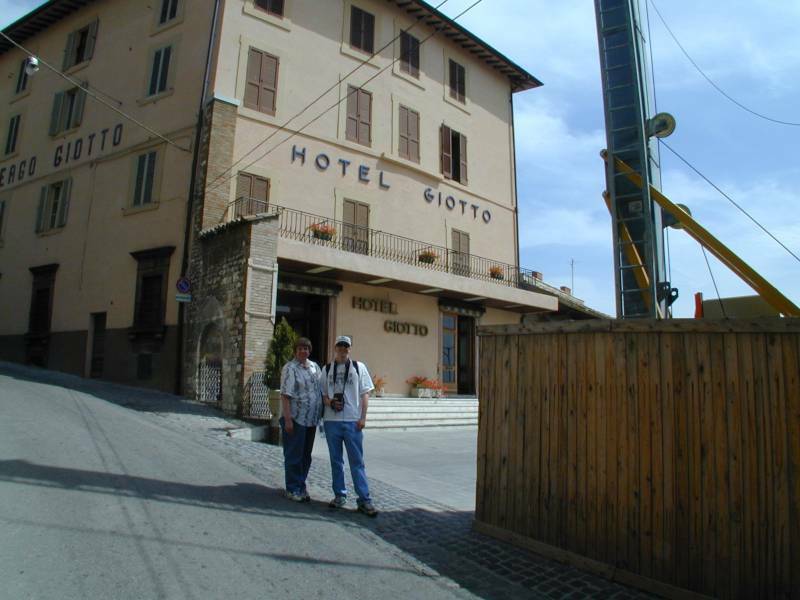 Mom & Joe in front of our hotel, Hotel Giotto, in Assisi. 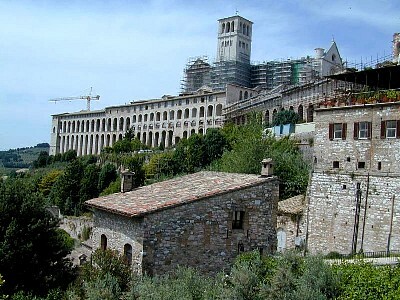 The view looking straight out from the window of our hotel room of the Hotel Giotto in Assisi. 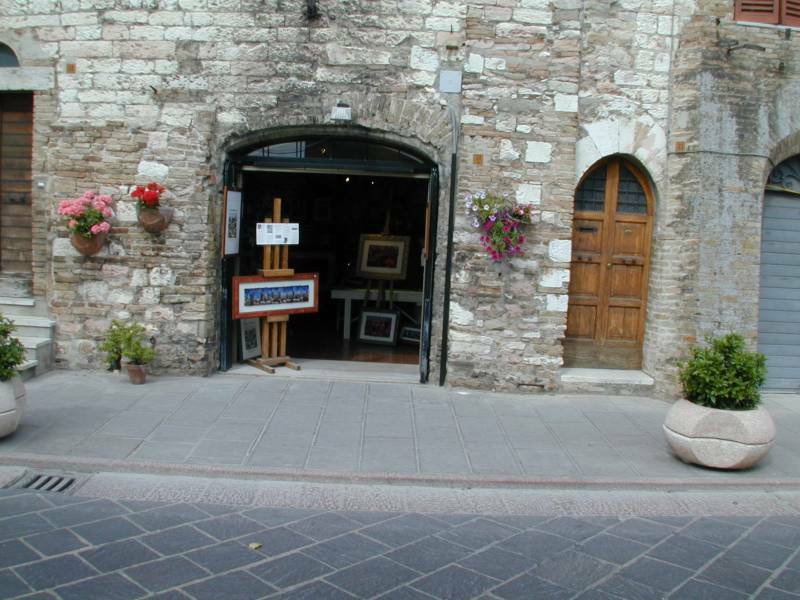 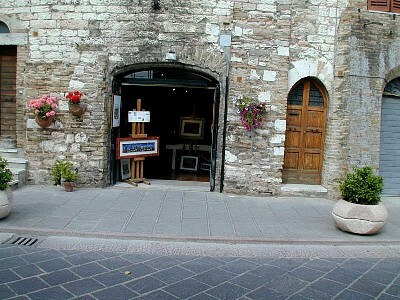 An art shop and pretty doorways and flowers in Assisi.